To serve this healthy open-faced sandwich as an appetizer, just cut each piece of bread into 4 triangles. Garnish each piece with a little slice of tomato or chopped cilantro, if you like. 1. Scoop the flesh of the avocado into a small bowl and mash with a fork until slightly chunky. 2. Stir in the remaining ingredients, except the bread, then taste for seasoning. 3. 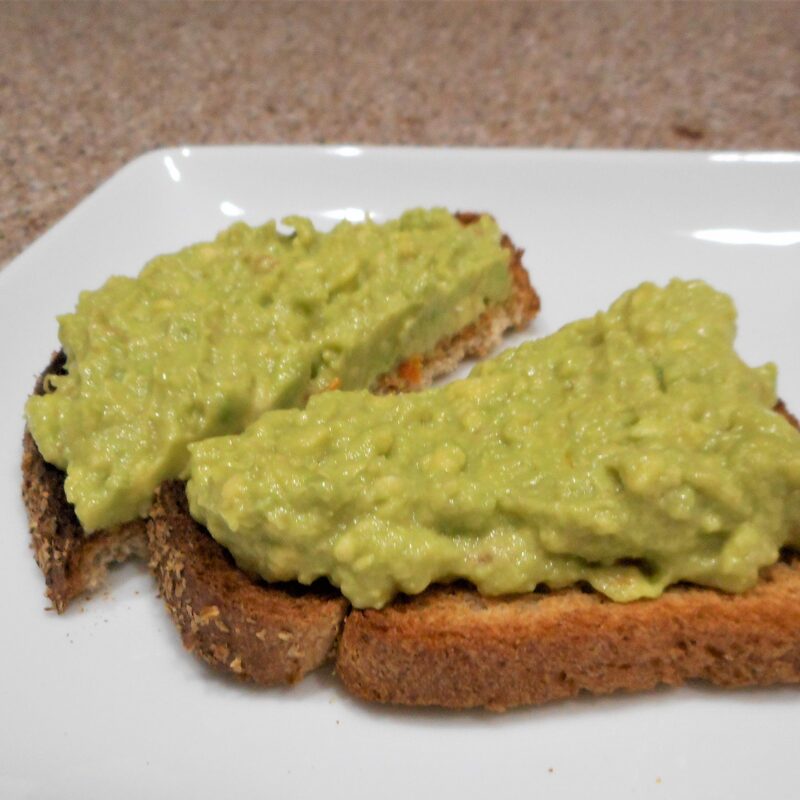 Toast the bread to your liking, then pile on the avocado. 4. If any of the avocado mixture is left, (which I doubt! ), press a piece of plastic wrap directly onto the surface to prevent browning and refrigerate.